Sykes: Qualifying is qualifying, racing is another story. 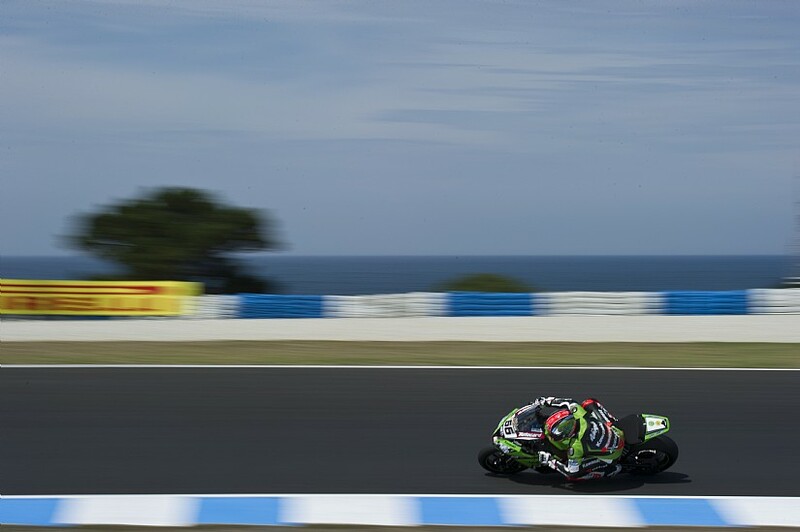 Kawasaki’s Tom Sykes has qualified in 4th for tomorrow’s races in Phillip Island, with team mate Loris Baz not far behind in 11th place. The new Superpole and grid format means that Sykes will start Sunday’s races from the second row of the grid, whilst Baz will be in the middle of the fourth row. Both riders have been regaining confidence after both had big accidents on day one of the Phillip Island test, last week. Sykes suffered a fractured left wrist, leaving him with a little discomfort, but still managed to stay near the top of the leader boards in testing and free practice/qualifying sessions alike.